The backbone of our strategic planning process was a set of six work teams that met monthly to address a specific aspect of the strategic plan. A Steering Committee - composed of two representatives from each work team as well as several other district staff and community members -- oversaw the process. We have gathered the agendas, slide decks, resources, and other materials used by the work teams and Steering Committee here. During the course of the strategic planning process, we held three forums that were open to the entire community - and held in both English and Spanish - that enabled residents to provide meaningful input that helped shape the strategic plan. Teachers, parents, students, and community members were also engaged in a number of other ways. Please click through to find the slide decks, handouts, worksheets, and other materials used for stakeholder engagement. Any community-engaged strategic planning process in a school district will require deep collaboration with the district leadership, including the superintendent, his/her leadership team, and the School Committee. 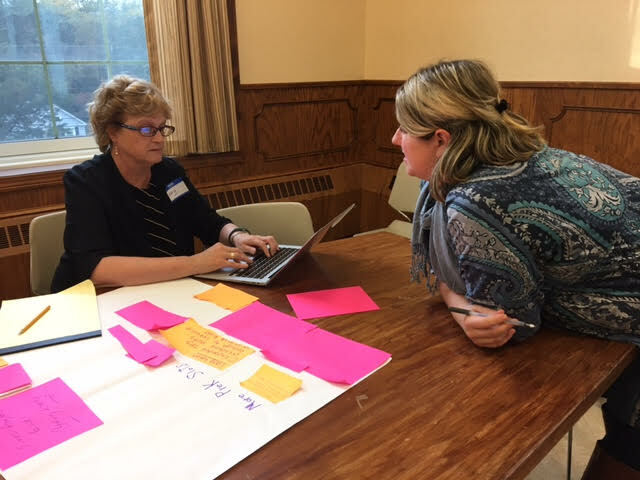 Please click through to see the slide decks, agendas, meeting materials, and School Committee presentations we developed during this process. Thank you to Salem Public Schools (Salem, MA) for trusting us to partner with them on their strategic planning process and for allowing us to offer them as an example throughout this guide. This guide was developed with the generous support and partnership of The Peter and Elizabeth C. Tower Foundation.